All your sheet music with you all the time in one elegant, lightweight place. 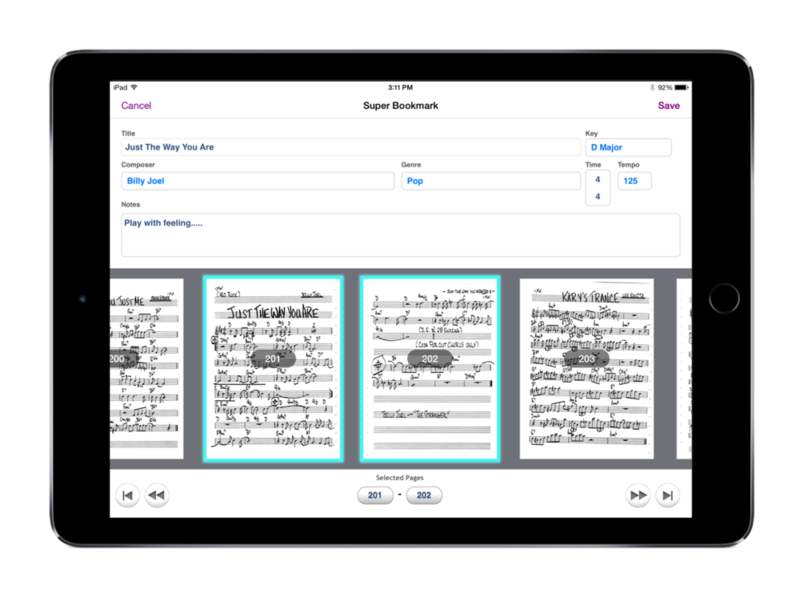 DeepDish GigBook turns your iPad into a truly accessible mobile musical library, keeping your scores, songbooks, charts, and lyric sheets at the tip of your fingers, ready at a moment’s notice. With its powerful organizing features you can sort your music to fit your individual needs. Keep all your songbooks in one place with “Collections”. Compile scores into infinite personalized Binders. Create dynamic Set Lists. Carry 100’s or 1000’s of scores with you wherever you play. 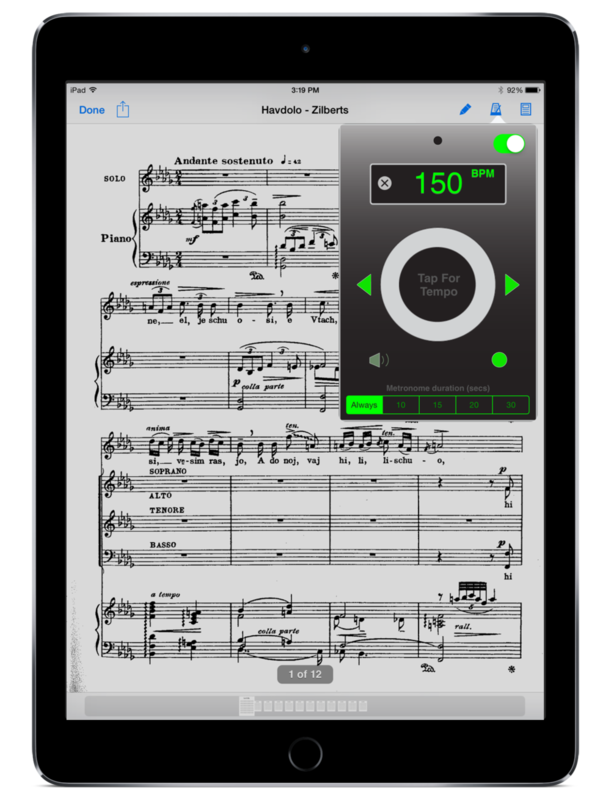 DeepDish GigBook is built specifically with the performing musician in mind, with tools and a user interface no other sheet music reader offers. 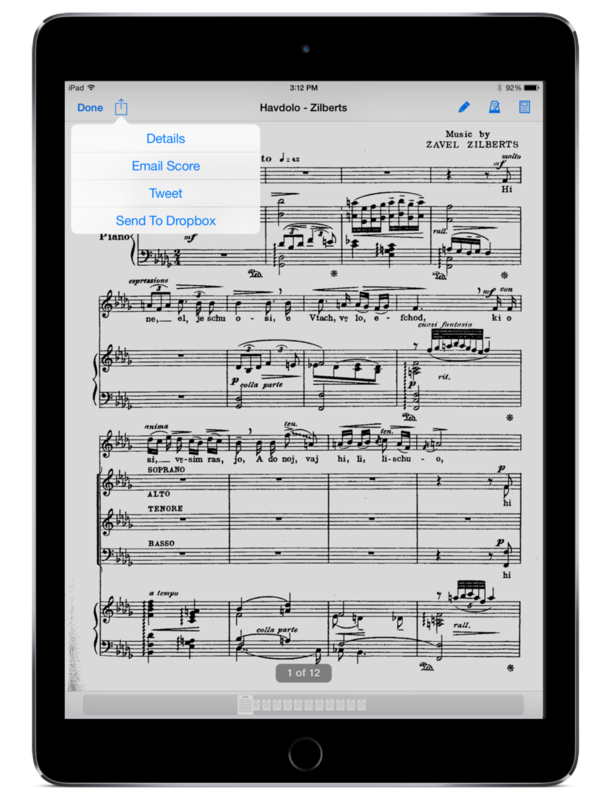 Works with most PDF scores for cross platform compatibility. Performer’s Metronome - Designed specially for stage use with an auto-off timer, tap in tempo, and fully customized to each individual score.